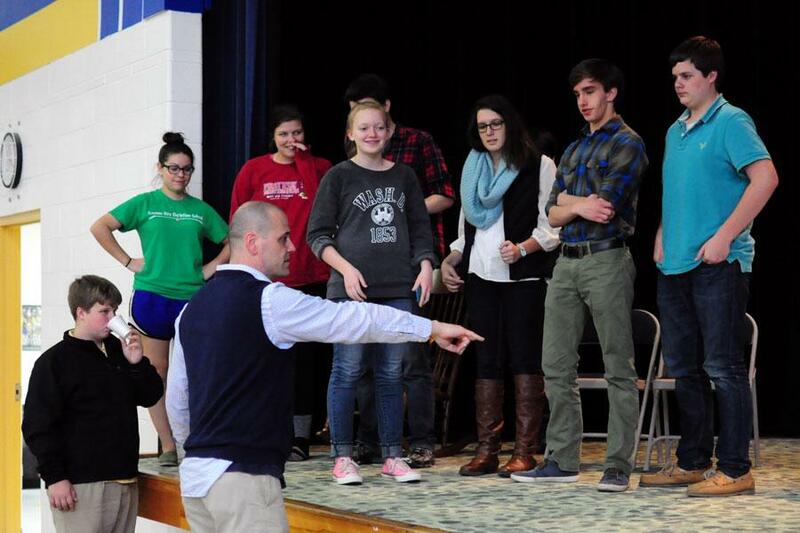 Director Miller shows seniors Kayley Forshey, Hayden McBee, Madeleine McCully, and freshman Nora Dooley and Patrick Lague where to walk on the stage. A beloved childhood story comes to life next weekend, April 10 and 11, on the KCC stage as the drama department performs “Peter Pan and Wendy.” Directed by John Brown University graduate Brian Miller, a new addition to the theater department, this year’s spring play features many more set-pieces, professional costumes, and on-stage fencing. Be sure to come see your favorite KCC students in the last play of the school year! Tickets are on sale now at the front desk or with any cast member.